Working with our staff at Virginia Beach Garage Door Pros, you'll quickly see why we have a reputation of being the best in garage door repair and replacement in Portsmouth, VA. We are happy to serve both residents and business owners around Hampton Roads. Our team understands that your garage door does a lot for your home or business, and when deciding if you are going to upgrade to a new door, price is ultimately a big factor. 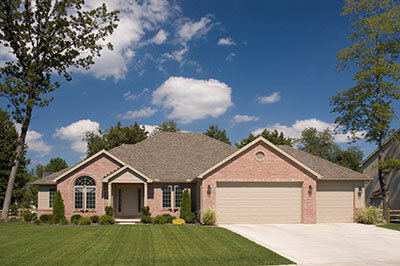 One thing to keep in mind regarding price is that it is often determined based on the size and opening of your garage. Obviously, the bigger your garage, the more money you'll have to spend on your door. This is because the construction of the door will require more material, and transporting and installing bigger doors are two extremely challenging processes. 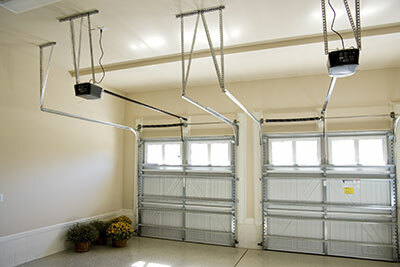 In addition to garage doors, another option to consider is opting for a new garage door opener. Most customers in need of a new garage opener can choose from five popular models. These models include jack shafts, direct-drives, belt-driven, screw-drivers, and chain-driven openers. In terms of technology and usage, it’s often better for you to go with a garage door opener that has a backup battery. This way, it would be easier for you to make use of your garage door should there be power outage. The battery recharges itself when the power is on and allows you to use your garage conveniently when there is no power. Not to mention, there are some certain garage door models and openers that come with emergency batteries. If you have this type of garage door and you come to find that your garage door won’t open, you may have a misalignment issue on your hands. It is a very common problem with this model type and it occurs when the photoelectric safety system is misaligned. All you have to do is realign the misplaced sensor with the one in the right position. Take a look at the control panel mounted on your wall to see if the light is blinking. Once you realign the sensor and both sensors are in their right positions, the light will stop blinking. If your garage door fails to go all way down when you close it, you just need to use a screwdriver to properly adjust the descent and ascent limits. You can find the buttons for these adjustments on the motor's side. You may need to use the manufacturer's guide though. If your garage door is one that was produced within the past ten years, then there's a good chance you'll find the manual on the internet. When all else fails, call in our professionals. In the end, it can often be difficult to decide whether your door just needs to be repaired or replaced completely, or if you just need to install a new garage door opener—this is where we can help. We've helped hundreds of residents and business owners across Coastal Virginia repair and replace their overhead doors and openers. For more information about scheduling repairs for your Portsmouth, VA, contact our experts at Virginia Beach Garage Door Pros.